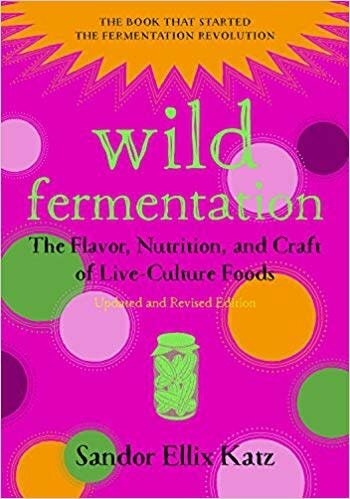 Since it's first publication in 2003, Wild Fermentation has inspired people to turn their kitchens into food labs: fermenting vegetables into sauerkraut, milk into cheese or yogurt, grains into sourdough bread, and much more. Now Sandor Ellix Katz, James Beard Award-winning and New York Times bestselling author, returns to the iconic book that launched a modern food renaissance, with a fresh perspective, renewed enthusiasm, and expanded knowledge from his travels around the world. This updated and revised edition is sure to introduce a whole new generation to the flavors and health benefits of fermented foods. It features many brand-new recipes- including Strawberry Kvass, African Sorghum Beer, and Infinite Buckwheat Bread - plus updates to most of the original recipes based on the authors continued exploration of world food traditions. For Katz, his gateway to fermentation was sauerkraut. Open this book to find yours and start a little food revolution right in your own kitchen.